" My experience with the cisco router model 3945"
In my infrastructure management router of the Cisco manufacturer specifically Cisco CISCO3945 model. The team demonstrates a higher level of routing for the entire infraction of the company that handles more than 20 branches routed all on my Core router. This is the name of all routing protocols for the maintenance of all networks no matter what the protocol is talking about whether EIGRP, OSPF, RIPV1, RIPV2. and tactical routes. There are very few functions that this router offers me that I do not like in my long experience I have not had major complaint of the router equipment of the cisco manufacturer. One of the weaknesses that I can limit is the consumption of energy that consumes as more routes and more processing of packages manage. Of rest I do not complain about this team, I am very satisfied. It has helped me to distribute the internal network with subinterfaces and configuring routed. Creating rules of internet exits. Generating security policies through access lists and static routing. "Routing packets at a high level"
I like this device the high quality of routing and the high range that it represents, because everything this device shows is the large number of features it brings. Such as advanced and basic protocols. In the same way the applications of traffic obligations that can be made under this device. A cisco router is the most dreamed device in the world and with the highest demand for requests. For me it is the best device in the world at the level of packet routing in the network. I recommend this brand to the total percentage to be managed in a company. With this plafaroma you will have the safest and most stable network of all. Such configured functions is how the device will work. What Industrial Routers solution do you use? "Observations on the cisco product"
Cisco Routers, offers business functions with rugged and rigorous environments, as such can obtain network services from several users which will share information for public or private clouds. It offers extensive security features offering the customer to automate the network in a simple and fast way. 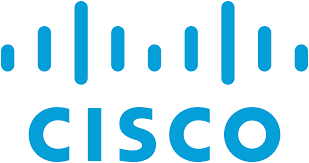 Cisco every time it offers a product gives the facility to each administrator and according to the architecture, protect the business, company or whoever decides to acquire the equipment and give an open and automated security. It offers to combine all the innovations that the tool gives with the hardware and the infrastructure of the network. Acquiring a Cisco product is for large companies, many can not approach such an excellent team because of their costs, they must use non-comparable external tools to configure the security of the company and enjoy the benefits of the cloud. All this depends on how far you want to get with the Cisco router products. I believe that companies, despite their costs, take into account that it is profitable to have a Cisco team in the organization. Through the cisco routers you can implement an SD-wan, virtualize, protect the structure and the wan, defend the network, of course fulfilling the requirements for an optimal defense. Among other benefits, the organization turned the network into a strategic resource. Cisco Routers has a wide range of products, one each time better than the other, its functions are improving, it is a robust product for all types of companies. It offers routing, security and among other functions. what I dislike about the cisco router products are their prices, they are very expensive, but it will comply with everything it promises. It is a very good product, 100% recommended. the learning curve is medium advanced, you must have knowledge in networks to be able to give it an optimal use and take advantage of all its offered features. the packet routing service is being covered with this product using dynamic routing protocols, creation of packet filtering, it has been possible to cover the need for authentication through AAA servers and verify the function in the router. aside one of the most recent features used or found with this product was the re-sending of web-cache to a transparent proxy server with squid, it was very useful to have a record of the pages visited by the users of the network and thus be able to create the rules and limit access to the prohibited pages. "Series of routers with the most optimized features"
Cisco routers in their wide variety of segments guarantee perfect operation in the business network, providing a robust and optimized system in any scenario. They provide the integrity and the adequate security, besides that they allow to scale in the time of easy way. The Cisco licensing system facilitates the acquisition of better features for the router.Cisco integrated service routers are a great improvement for the management of various products with only one of them and thus reduce the number of devices needed in the network. There are really no negative points in Cisco routers, depending on the size of the company you can consider other options with features similar to Cisco routers. The factor that could disguise more is the price of these Cisco products. If enough money is available, go through Cisco routers immediately. Another important point is to clearly determine before purchasing the device, choose the router set, IOS and licenses that will meet your requirements. To determine if it is necessary to have expansion slots for the future. The router in the company is a 2800 series and has worked perfectly in the network, guaranteeing the service to the employees. Likewise, the configuration of the same and the administration with the ADSM is perfect and allows to manage the traffic of the network in an optimal way. This router has improved the operation of the company to a large extent. I like this device since it does offer excellent routing for wireless internet services within an office. It’s a bit tricky to set up, but with some due diligence, it does end up working well. I would definitely consider it. Also, I’d suggest having a team onsite or access to a tech who can manage the routers in case of any issues. Same well known user interface. Rock solid product. Nothing much that I dislike. Cisco products are well known in the industry with low failure rates. Cisco is well known in the marketplace. The products cost a premium compared to others, but you get what you pay for. Support is excellent and product has a low failure rate. Used product to peer with the internet service provider. * We monitor all Cisco Routers reviews to prevent fraudulent reviews and keep review quality high. We do not post reviews by company employees or direct competitors. Validated reviews require the user to submit a screenshot of the product containing their user ID, in order to verify a user is an actual user of the product. Hi there! Are you looking to implement a solution like Cisco Routers?